I love green beans and so does my family and this Green Bean Recipe is a favorite restaurant recipe as well. What makes this restaurant recipe extra special is that the beans are tossed in a delicious Dill Butter. When cooking green beans the key is not to over-cook them. Green beans are an excellent source of fiber, riboflavin, folate, magnesium, potassium, manganese, Vitamin C and Vitamin K, but if you cook them too long, much of their nutritional value is lost and so is the taste and color. 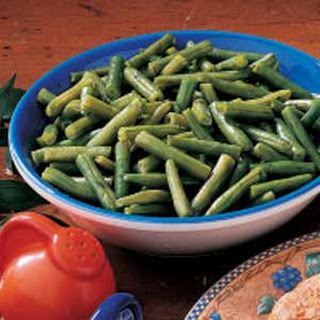 There are several ways to cook green beans. You can steam them, blanch them in some salted water, sauté them, stir-fry them, bake them and - gosh I'm starting to sound like Bubba in the movie "Forrest Gump" talking about shrimp. Some people cook green beans by microwaving them. It can be done but for a number of reasons, I prefer not to do so. Whatever method you decide to use when cooking fresh green beans, use a large enough pot to avoid overcrowding them and, again, cook green beans until they are just crisp-tender. When buying green beans, see if you can find baby green beans. They are even more tender. 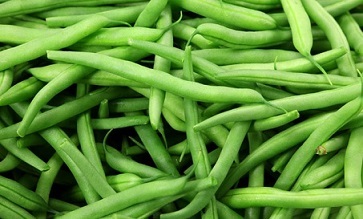 If none are available, buy green beans that have long, firm pods without much discoloration. One other suggestion: don't buy fresh green beans too far ahead of when you intend to use them. Yes, you can refrigerate them in a tightly sealed container but only for a few days before they start to break down. Preparation time: 15 minutes. Depending on portion, serves 6-8. 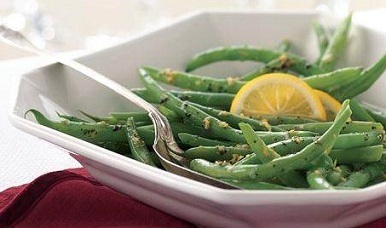 Enjoy your fresh green bean recipe that uses Dill Butter to enhance the eating experience and enjoy the company of those you share them with! Did you know? The first "stringless" bean was bred in 1894 by Calvin Keeney, called the "father of the stringless bean."